Chicken lollipop is an awesome starter recipe which is famous all around the world. 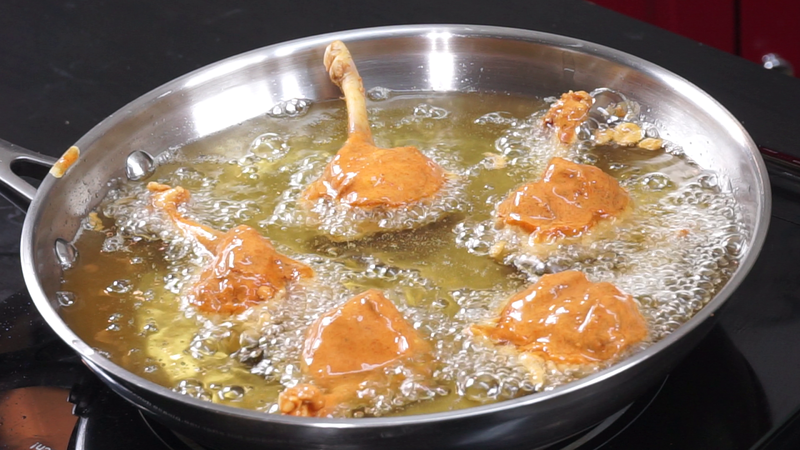 Chicken lollipops are made from chicken wings, you can use then with or without skin.If you prefer with skin on, then you will get crispy heavy lollipops and it tastes delicious.Preparing the lollipop is a little time consuming but it is worth the effort. Now a days we get ready made lollipops in most of the stores or you can ask your butcher to make one for you. lollipops from wings. 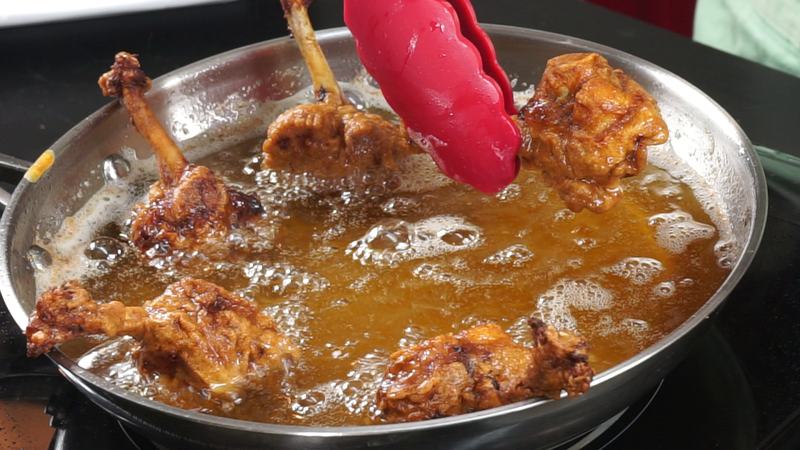 then you are too lucky.I always buy chicken wings and transform them into lollipops .Here i have detailed on how to make lollipop from chicken wings.From one chicken wing we get 2 lollipops so i have used 6 wings to get 12 lollipops. 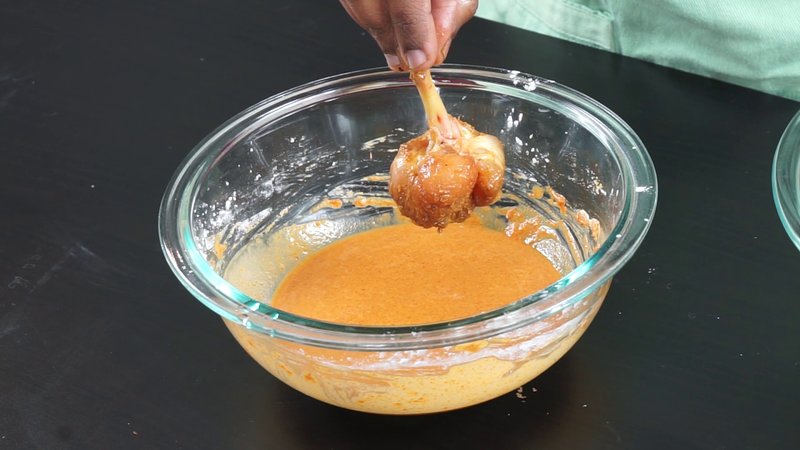 Step 1) How to make lollipop from chicken wings? 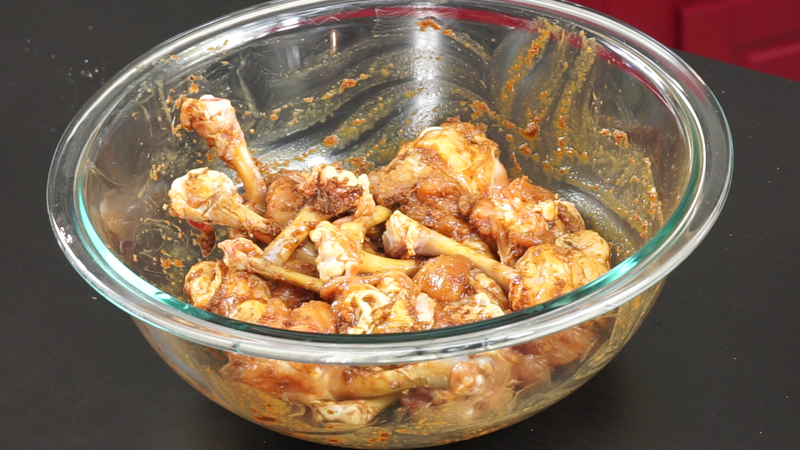 First lets cut chicken wings and transform them into chicken lollipop.I have taken 6 chicken wings. 2) Now we have 2 parts left, find the center joint and again using sharp knife cut it into two half at the joint between the drumstick and the wing. 4) Now scrape all the flesh sticking to the bone with the knife and then hold it straight and Push the flesh down to the bottom and shape it. 5) Follow the same for drumstick. Start from the smallest end and make a circular cut.Then scrape the flesh sticking to the bone and push the meat down towards the bottom and shape it with your hands. 6)Similarly do it with the rest of the wings. In a bowl combine Soy sauce, Ginger Garlic paste, Chilly powder,lemon juice, salt , pepper and mix well.Then place the chicken lollipops and coat it well with the masala. 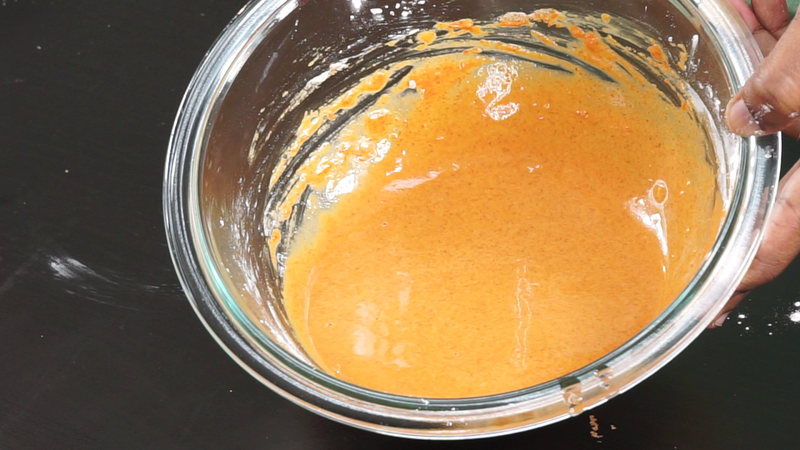 Make sure all the sides are nicely coated with the marinade. Let it marinate for minimum 20- 30 minutes. 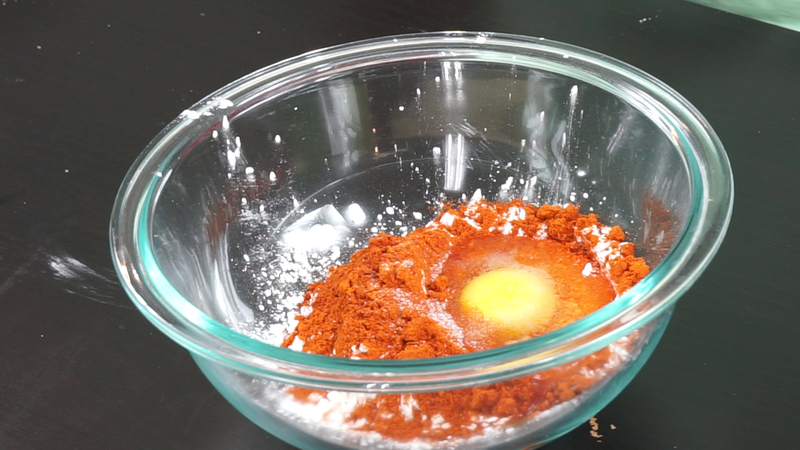 Now after 30 minutes in a bowl combine all purpose flour, corn flour, egg, Salt and Chilly powder (use kashmiri chilly powder to get nice color) if you are using regular chilly powder then reduce the amount of chilly powder to 1 tbsp. Mix well by adding little water and form a semi-thick batter. The consistency of the batter should be good enough to coat the lollipops. 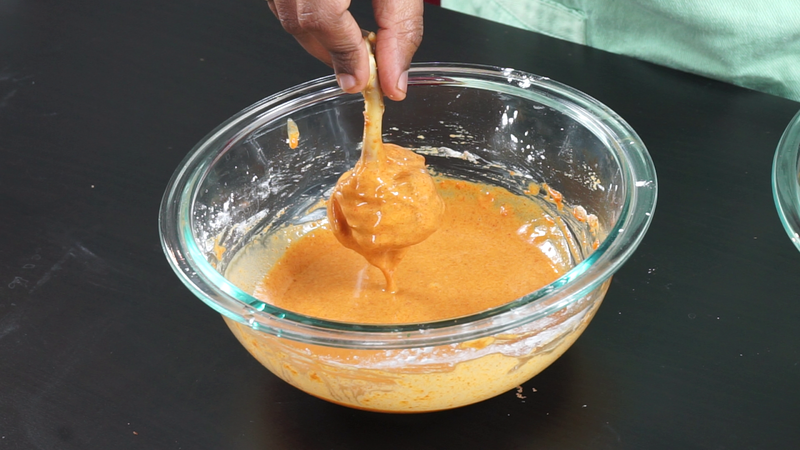 Take a lollipop and dip it into the batter making sure all the sides are nicely covered by the batter. If the batter is too thick then add a little of water to make it think or if the batter is thin then add some flour to it to make it semi-thick. Now the final step is to fry the chicken. Place the lollipops in hot oil (medium heat) and fry until they are nice and crispy on the outside flipping once in between. Chicken lollipop is an awesome starter recipe enjoyed by all ages of people. In thi recipe we will see how to make chicken lollipop from chicken wings and then going to marinate the lollipops and fry them. 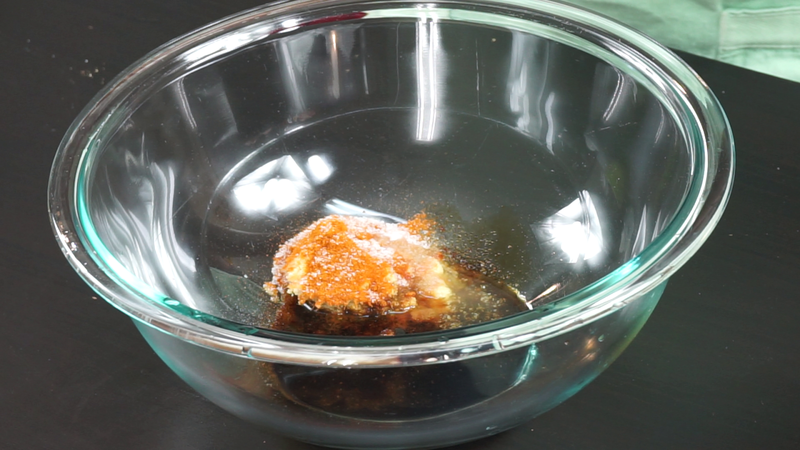 Dip the lollipop into the batter and fry until crisp on the outside and fully cooked inside. Our Chicken Lollipops are ready to be served with sauces of your choice.